A reader of our online material made the observation that he or she couldn’t find in its content anything referring to the rising continent, or the lions on the move, which both connotations are defining terms for our blog at www.therisingcontinent.wordpress.com. The reply was that the focus had so far been on one central aspect of African characteristics, which is as important as seeing the entire continent rising and progressing towards better pastures. As that reader, and any other who might have similar questions, may probably agree, respecting human rights is part of the defining elements of societies which are today characterised by better life standards, particularly in material terms and available opportunities of improving people’s lives. There are obviously exceptions where you have countries with high GDP per capita but experiencing poor record of human rights. This does not dismiss the fact that the general rule is that economic development and respect of human rights go hand in hand. Most if not all empires of the past have historically managed to conquer and maintain their rule over territories by using their military power. After Second War II, when United States and Russia emerged as the main global powers militarily, the world got divided into two spheres of influence aligned along their respective support. With the collapse of communism, U.S. found itself the only military superpower around. 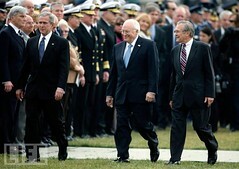 The situation prompted visibly a U.S. foreign policy geared to occupy territories lost by the traditional protagonist. At great extent the policy went as far as bringing under strong influence countries which were even traditionally seen primarily under old Europe stewardship. The US diplomatic cables published by WikiLeaks contain revealing details of how the United States and Britain sought to further their commercial interests in Zimbabwe. WikiLeaks has released 12 cables, which originate from the American embassy in Harare in addition to others from the South African capital Pretoria, London and the State Department commenting on the situation in Zimbabwe. They range in date from September 2000 to February 2010. "The cables track this human tragedy through the indifferent eyes of American diplomats, whose main concern was always for the potential profits to be made from Zimbabwe’s natural resources. They chart the efforts of US, British and European diplomats, often working through the UN, to establish a regime that will open up the country to international investment." This was a decade in which President Robert Mugabe’s regime came into increasing conflict with the Western-backed Movement for Democratic Change (MDC), led by white agribusinesses and headed by former trade union leader Morgan Tsvangirai. The present power-sharing government was ultimately established in 2008, with Robert Mugabe as president and Tsvangirai as prime minister. The New Year began with three North Atlantic Treaty Organization soldiers killed in Afghanistan and 20 people, all portrayed as militants, killed in four American missile strikes in northwest Pakistan. The third drone missile attack killed four people attempting to rescue and remove the bodies of the victims of the first, a technique used by the U.S. and NATO in their war against Yugoslavia in 1999. The West’s war in Afghanistan and Pakistan is currently the longest, largest and deadliest in the world. Fatalities among U.S. troops, non-U.S. NATO and allied forces, Afghan National Army soldiers and anti-government fighters reached a record high last year: 498, 213, 800 and an unknown number (by U.S. and NATO accounts well into the thousands), respectively. The United Nations estimated 2,400 Afghan civilians were killed in the first ten months of last year, a 20 percent increase over the same period in the preceding year. Approximately a thousand people were killed by U.S. drone missile strikes in Pakistan. 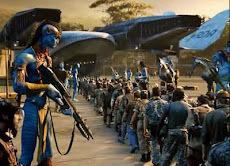 It says something discouraging about a world of almost 200 nations that perhaps no more than half a dozen countries – so-called rogue states (alternatively Condoleezza Rice’s “outposts of tyranny”) – have voiced opposition to the war. Washington’s self-designated global war on terror (sometimes capitalized), in recent years more politely and antiseptically called overseas contingency operations, has not diminished in intensity but rather escalated in breadth and aggressiveness from West Africa to East Asia and against targets not remotely related to al-Qaeda, which has proven as nebulous and evasive as the West portrays it being ubiquitous. 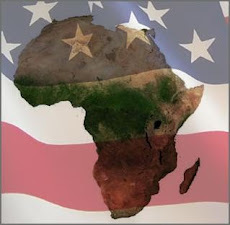 When the Bush Administration created U.S. Africa Command (AFRICOM) to protect America’s oil and strategic interests, the door was slammed in its face by every African country except Liberia. Fortunately, AFRICOM never accepted Liberia’s offer to establish headquarters there, and the military command has by default made its home in Stuttgart, Germany. The U.S. military’s AFRICOM forces pretend their mission on the continent is humanitarian. 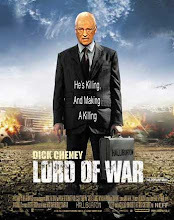 In reality, AFRICOM is the sharp edge of U.S. imperialism, a killing force eager to impose American dominance. The military command “locks Africa into a state of dependency and maintains favorable political and social conditions for U.S.-based corporations that exploit Africa’s natural resources.” This is not a bug in the system. It's a defining feature of it. Mention the words “Peace Corps” to folks who associate that agency with the idealism of the 1960s and in their minds’ eye they will probably see a dynamic young president who dispatched a virtual army of gentle, denim-clad, pony-tail wearing young Americans into the world’s most poverty-stricken villages to carry out a simple mission - to lend a neighborly hand. Gary K. Busch examines the current stand-off between Alassane Outtara and Laurent Gbagbo through a neocolonial lens, calling into question the international response to the crisis. Currently there is an impasse in the runoff of the Presidential elections in the Ivory Coast. The French-linked and funded electoral commission declared that Alassane Outtara won the election while the Constitutional Court declared incumbent President Laurent Gbagbo as the victor. The ‘international community’ of Western countries, NGOs, UN appeasers, and a variety of Francafrique cowards and bed-wetters support Ouattara even though massive fraud has been demonstrated at the polls in the rebel-held North. 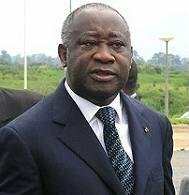 Threats of military intervention in Cote D’Ivoire by international parties following Laurent Gbagbo's refusal to step down from the presidency are ‘pushing the country on a treacherous path to a precipice of war’, argues Mawuli Dake. As the Economic Community of West African States (ECOWAS), France, the African Union (AU) and the United Nations (UN) continue to beat war drums over Cote D’Ivoire, they are pushing the country on a treacherous path to a precipice of war. From all indications, the actions of these international actors are based on two precarious grounds – as though the fact of Laurent Gbagbo’s despicable conduct amounts to an unconditional justification for any form intervention; and as though the most important consideration for African leaders in this crisis is sacrosanct obligation to ‘prove something to the international community’. Could we not be witnessing another historic foreign policy blunder in the making?